LUXURIOUS LIVING IN THE HEART OF DUNEDIN! BEAUTIFUL NEW COMMUNITY OF THE TOWNHOMES AT HIGHLAND RIDGE ! 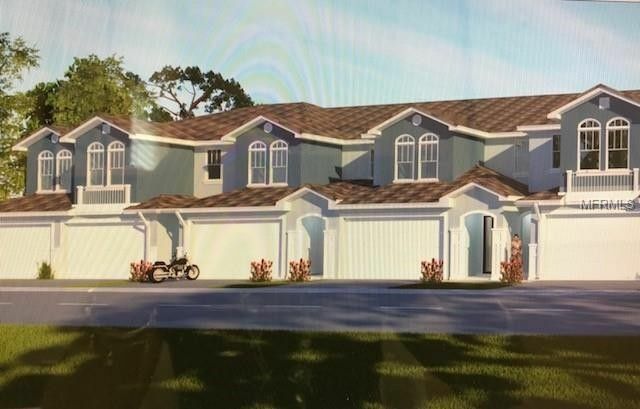 THIS BEAUTIFUL MODEL FEATURES 3 BEDROOMS, 2.5 BATHS, 2 CAR GARAGE, VOLUME CEILINGS, LOW E IMPACT RESISTANT WINDOWS, LAMINATE WOOD FLOORING, FABULOUS WOOD CABINETRY, GRANITE COUNTERTOPS & STAINLESS GE APPLIANCE PACKAGE! 2ND FLOOR LAUNDRY CLOSET, LOW HOA FEES! ENHANCED WITH MANY BEAUTIFUL FEATURES AND THIS UNIT IS LOADED WITH UPGRADES...A MUST SEE! GREAT SCHOOLS AND CLOSE TO ALL SHOPPING, MEDICAL, PINELLAS TRAIL! LOCATED IN THE HEART OF QUAINT DOWNTOWN DUNEDIN!! CLOSE TO THE GORGEOUS GULF BEACHES AT HONEYMOON AND KALADESI BEACHES AND CLEARWATER BEACH! THIS HOME WILL BE READY TO CLOSE THE END OF DECEMBER! BETTER HURRY...THESE WON'T LAST!! Directions: US 19 N TO WEST ON SR 580 (MAIN ST) TO LEFT ON HIGHLAND AVE. TO BIRDSONG LN. TOWNHOMES AT HIGHLAND RIDGE .